Mahesh is the Founder and CEO of Tiger Analytics. 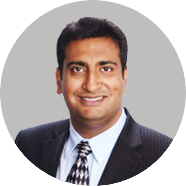 He started Tiger Analytics with a desire to bring his experience in management science to help organizations achieve superior performance through the application of advanced analytics.Before founding Tiger Analytics, Mahesh was on the faculty of the Smith School of Business and Rutgers Business School. He has conducted research in the areas of data mining and statistical modeling and has successfully applied his research to solve problems related to forecasting, pricing, promotions, and customer segmentation for a wide range of businesses across various verticals. Mahesh holds a Ph.D. in Operations Research and Marketing from MIT, and a B.Tech in Computer Science from IIT Bombay. 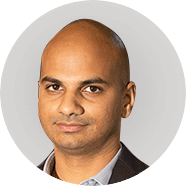 Pradeep is a Co-founder of Tiger Analytics and currently heads our team in India. Over the last decade, he has worked with clients at Fortune 100 companies and start-ups alike to enable scientific decision making in their organizations. 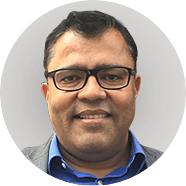 He has helped design analytics roadmaps for complex business environments and architected numerous data science solution frameworks, which include pricing, forecasting, anomaly detection, personalization, optimization, behavioral simulations, etc. Pradeep holds an MS from UT Austin and B.Tech. from IIT Madras. 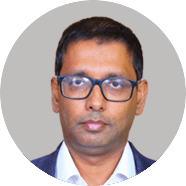 Santhana brings more than 15 years of experience in Analytics, from the days of analytics on data warehouses to the current data science on data lakes. He helps clients realize business value through focused analytics projects. He has set up analytics centers of excellence, building high-quality teams that work at the intersection of business and analytics. 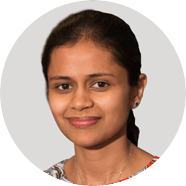 Santhana has an MBA from the Indian Institute of Science, Bangalore, and a Bachelors in Mechanical Engineering from the University of Madras, India. 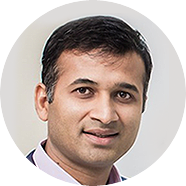 Prashant works with clients to build long-term strategic partnerships and ensures success through delivery excellence and alignment with customer’s business goals. His experience spans from product management to consulting large enterprises in digital transformation, working with technologies in IoT, Mobility, Analytics, Big Data, and Data Sciences. He holds a B Tech in Computer Science from IIT Kanpur and an MBA from IIM Ahmedabad. Anand leads customer success from India, bringing in a strong consulting perspective which puts the success of our clients first. He has led teams in IBM, Cognizant, among others, for 20+ years building start-ups and key client relationships. 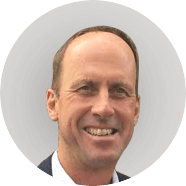 He has helped clients solve a variety of problems across verticals using IT, analytics or consulting. 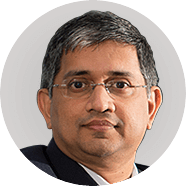 He has an MBA from Xavier Institute of Management Bhubaneswar (XIMB), India and has done executive education programs from London Business School and Carnegie Mellon University. Ed leads several of our key sales efforts. He has more than 25 years of experience as a high-tech Sales Executive. He started his career with Advanced Micro Devices. He then became President and CEO of a Sales Consulting Company working with companies such as IBM, Intersil, Atmel, Tower-Jazz, Symphony Teleca and E2open to name a few. Ed holds a Business degree and also holds a Bachelor of Science degree in Electrical Engineering from Northeastern University. Pooja has been an integral part of strategy and operations at Tiger Analytics since its inception and joined full-time as Head of Operations in 2014. She brings in best practices to support the company’s growth. She oversees our global operations, finance and accounting, legal, and human resources. Before joining Tiger, Pooja led technical teams working on various processor designs at Nvidia for several years. She holds a Masters degree from Stanford University and a B.Tech from IIT Kanpur in India. 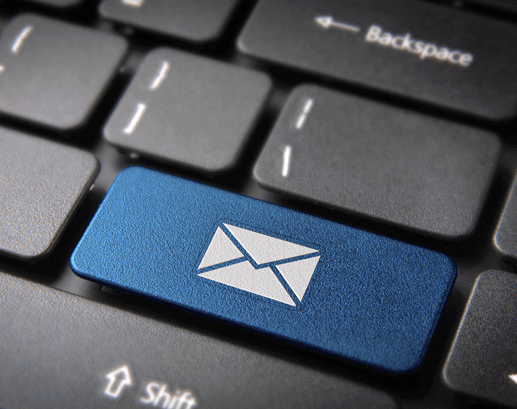 Durjoy holds the responsibility of building strategic client relationships. 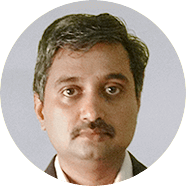 He comes with over 20 years of industry experience and has incubated and built advanced analytics practices at Course5i (previously BlueOcean) and Redpill (now part of IBM). Durjoy brings a deep understanding of how Banking, Financial Services, and Insurance companies can derive significant RoI by using AI and automation in the right business contexts. He holds an Engineering degree from BIT Mesra and an MBA from IIM Lucknow. Sriram leads our efforts towards embedding advanced analytics and AI in enterprise decision chains, with the primary objective of driving business value. Sriram comes with a rich experience of having built and directed global analytics practices for Western Union and Kantar, working in diverse areas such as pricing, marketing, risk, and operations analytics. Sriram holds a BTech from IIT Delhi and an MS from The University of Texas at Austin. Rachit leads our Insurance practice, bringing in a strong consulting focus to create success stories for clients. 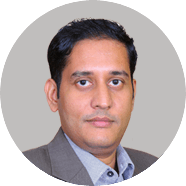 He brings over 15 years of experience in building high-performing teams at Fractal Analytics, EXL, and Infosys. He has helped Fortune 500 companies design analytics roadmaps, architect industry-specific transformative solutions, and create business value by embedding AI and analytics in enterprise decision chains. Rachit holds an MBA from IIT, Delhi and a Bachelor’s degree from Thapar University, India.